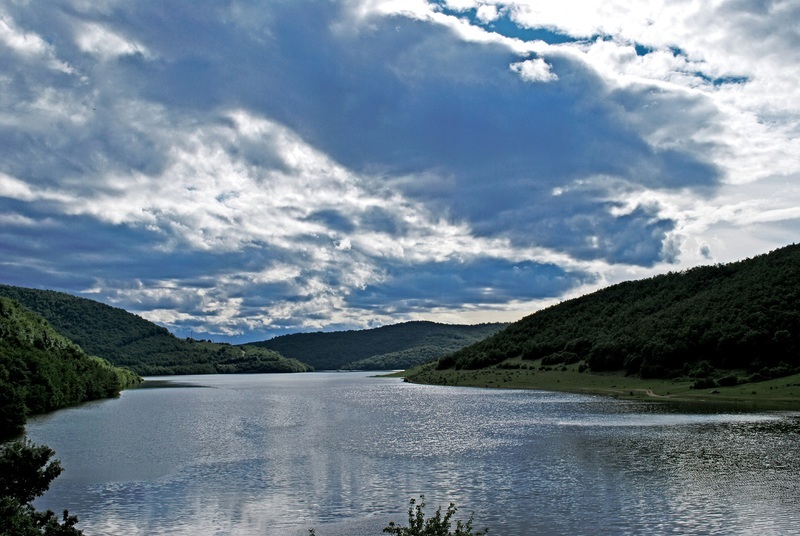 Badovc Lake is an artificial reservoirs on the river "Graçanka" two kilometers above Graçanica, Kosova, built in 1963 - 1966 in order to supply city of Pristina with water . The dam height of 52 m, a width of 246 m, was built in Badovac ravine below Androvac mountains, near the mine "Rainwater". When it's full, the lake is 3.5 km long and up to 500 m wide, maximum depth is 30 m, a total volume of 26 million cubic meters of water. The lake has a catchment area of 109 km².In February 2014, water levels were threatened, due to a very dry winter.